Hello Guys, Did you know that you can now easily activate and get 9mobile 1GB special data offer for just N200 only? Don't be surprised this is not a cheat, This is just a special data plan bundle from 9mobile and it's working perfectly on all mobile & smartphones without any settings. The new etisalat (9mobile 1GB special data) works on all devices such as iOS, Windows, and PC, The special data can only be used for just 3days, and once the data exhausted you can re-subscribe again and again for just N200 only. So here today, am going to share you the activation code on how to activate and enjoy the new 9mobile 1GB Data special package offer on your phone, So Let Get started. Your request is being processed please wait for a confirmation SMS thank you. 4. 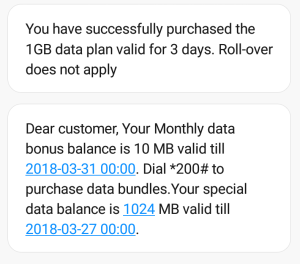 After seeing this, In a few seconds N200 will be deducted instantly from your 9mobile line and you will be credited with 1GB Data to browse for 3days. If you exhaust the 1GB data and you want to subscribe 9mobile 1GB data once again, Just recharge a minimum of N200 again on your 9mobile line and follow the same Steps. This 9mobile 1GB special data for N200 doesn't work on all 9mobile SIM. But to confirmed and assured you're eligible for this offer, Kindly try to do this. >> Don't recharge yet on the 9mobile SIM yet. >> Dial *929*10# and wait for response. >> If you're eligible, you will receive insufficient funds please recharge and try again.